Based on the hit Studio Ghibli film My Neighbor Totoro comes the My Neighbor Totoro Catbus Bamboo Chopsticks. 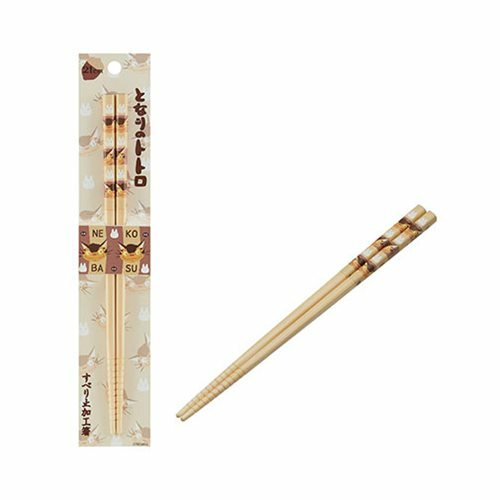 These bamboo chopsticks are adorned with Catbus, Totoro, and Soot Sprites. Measures about 8 1/4-inches long. Hand wash only. Not dishwasher safe. Do not microwave. Ages 13 and up.